VMware announced vSphere 6.5. We have the details on the VCSA 6.5, the new installation options, and migration covered in a separate post. This post will focus on the newly introduced Native vCenter High Availability (HA). Note that this will only be available for the VCSA 6.5. Windows based vCenter server deployments won’t have this feature. 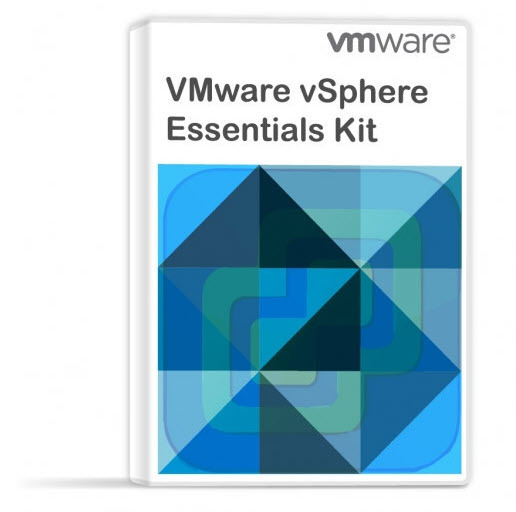 Since vSphere 6.0, VMware pushes the VCSA appliance further forward. In the past, the appliance has had limited scalability, limited support, or limited features. Not all architectural options were supported, so as a result, users were forced to used Windows based vCenters in order to be able to have features which they needed for their enterprise environments. The 6.5 release changes everything. Not only that the features/functions parity is now equal with Windows based vCenter, but we have new features appearing in the VCSA based vCenter, which will not benefit the Windows-based deployments. We have now the VUM built-in, but also, the VCSA 6.5 supports Native vCenter High Availability. VMware vSphere 6.5 also brings Virtual Hardware 13 allowing you to create and run VMs with up to 6TB of memory, UEFI secure boot for guest OS. vSphere High Availability (HA) – vCenter server VM gets restarted on another host within your cluster. Traditional. Microsoft clustering – WSFC/MSCS – Windows Server Failover Clustering or Microsoft Server Failover Clustering to protect a Windows-based vCenter Server. There was a support for using Microsoft SQL Cluster Service for use as a back-end database. vCenter server Heartbeat – separate solution from VMware. A Paid product. This solution wasn’t a real commercial success. VMware has announced end of Availability for all vCenter Server Heartbeat versions. Native vCenter High Availability (HA) – for VCSA only!! This year, with vSphere 6.5, VMware introduces new, simplified Native vCenter server High Availability (HA) for VCSA 6.5. As being said, only vCenter server appliance (VCSA) based architectures will be supported. What’s in and how it works? 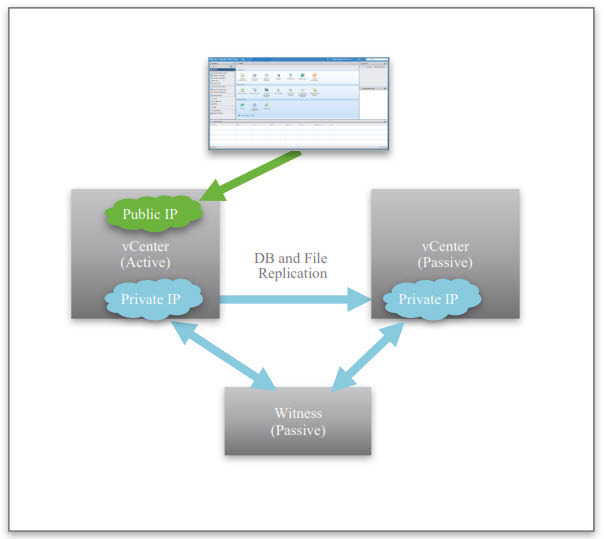 Active-Passive deployments with Witness – synchronous DB replication, and file-based replication. Requirements – there will be a new, second vNIC added (eth1) during the configuration (wizard based). A private network as an only requirement to have a subnet of the primary network. You can see the schema below…. There is no need for L2 network requirements or VXLAN. You can have one VCSA in one datacenter (active) and passive VCSA in another datacenter. The VCSA vPostgress DB will have synchronous replication. VMware uses native vPostgres replication mechanism. There are some latency requirements. (will be added here later). File-based replication is near real-time based replication for some files that lays outside of VCSA. (Witness). Basic – minimum info is required through a wizard, like IP information, if you have DRS/storage DRS and then the system will create for you active and passive nodes for you, and create affinity and anti-affinity rules. The system will create the eth1 vNIC interfaces. Only one thing you’ll have to prepare – HA network. Advanced – a bit more complex. You have to manually clone the VMs (active, passive and witness), provide IP information. But the advanced workflow allows you to place the VM for example, into another data center, or another site, with different SSO domain. Hello , I assume if you have an existing EMC FPLEX GEO Metro Cluster , you should not implement VCSA Advanced Multi Site mode ? You need a static old school local HA and DRS cluster to host your VCSA 6.5 in to avoid multiple failover mechanisms . That’s an interesting question. VMware folks, any insights on this? If you use the embedded PSC is that replicated as well?